6 bedroom ocean view villa at Batu Bolong Beach - a fun and lively location. 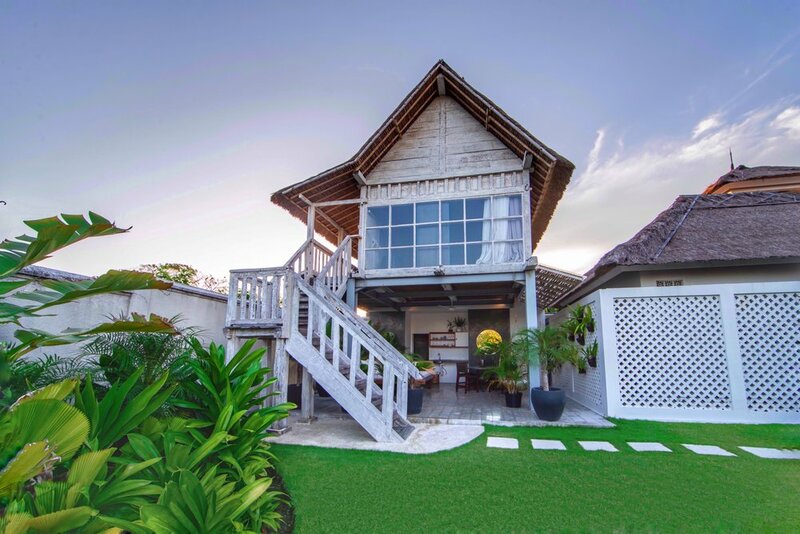 This massive villa is one of the only properties in Canggu providing ocean views and breezes from the comfort of your bed. Situated a 1-minute walk (30 meters) from Old Man's Restaurant, Casa Casbah Villa prides itself on its prime location off Batu Bolong, the heart of the liveliest neighbourhood in Bali. Just a short 70 meter stroll to the beach, our guests enjoy private surf lessons and sunset strolls followed by cocktails at Ji Sunset Terrace and The Lawn. 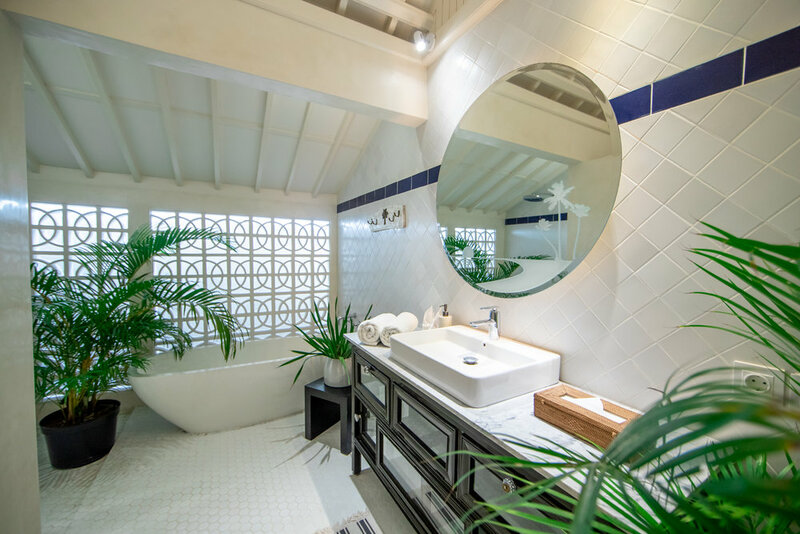 Casa Casbah's Caribbean beach house design offers luxurious features in a cozy atmosphere with unbeatable views of the surrounding natural beauty. Contemporary tropical architecture, vast open-air living spaces and an abundance of light intermingle with the soft sound of ocean waves, painting lasting memories in the minds and hearts of our guests. 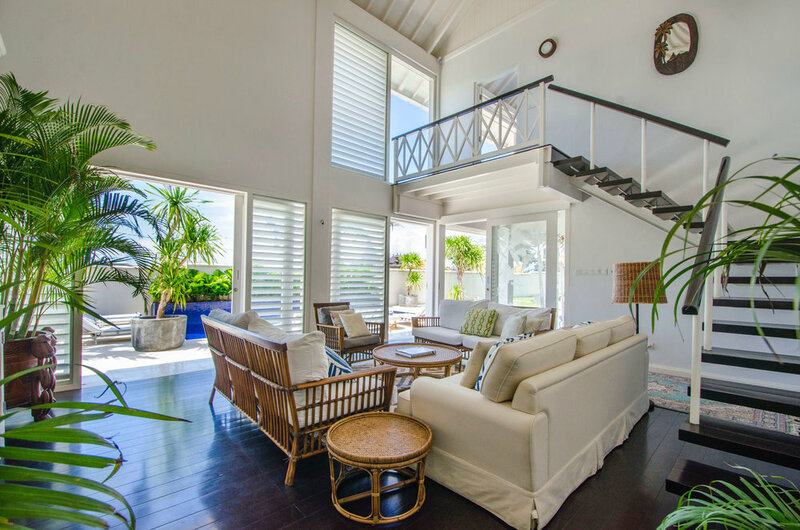 This villa is the epitome of beach house chic, and is fun for all ages. Children love running around the gardens, and enjoy splashing around the pool before the sun begins to sink and the barbecue is heated up for dinner. 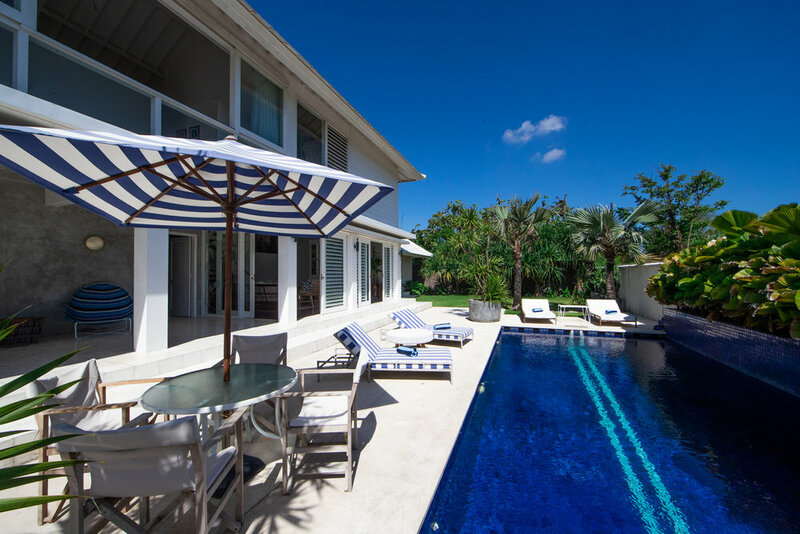 The large sparkling swimming pool sits alongside lush tropical gardens and is overlooked by the entire villa. Four bedrooms are all situated on the ground storey, each one with swimming pool or garden views, and equipped with large wardrobes for comfort, and safety deposit boxes for peace of mind. Each bedroom also contains its own en-suite bathroom. A special feature is the enclosed cinema room where our guests enjoy a fully blackout air-conditioned experience with large and comfortable couches facing a massive flat screen TV. The separate enclosed living room has its own office space with a fast desktop computer perfect for those who want to get a bit of work done while on holiday, and a large library for our book loving guests. Shut the rolling glass doors and turn on the air conditioning to cool off with a snack. 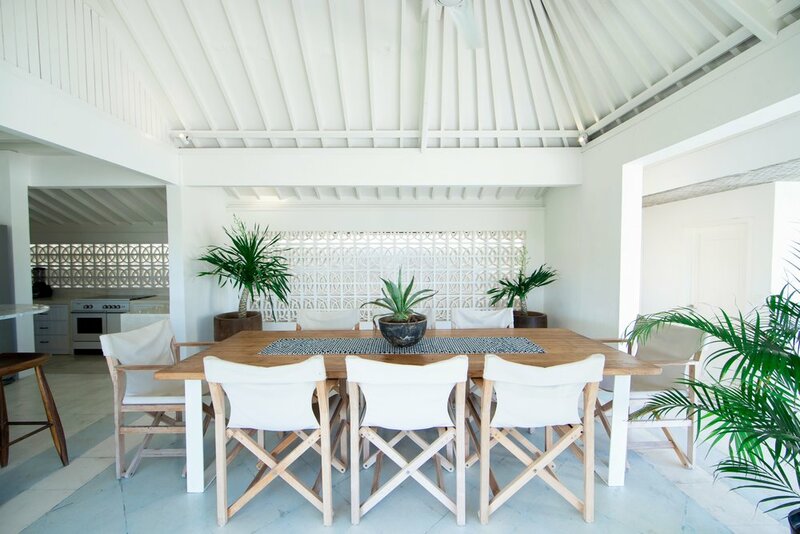 With hosting lavish dinners in mind, the poolside dining area is next to the open concept and fully stoked kitchen, and is located in the cool terrace shade. 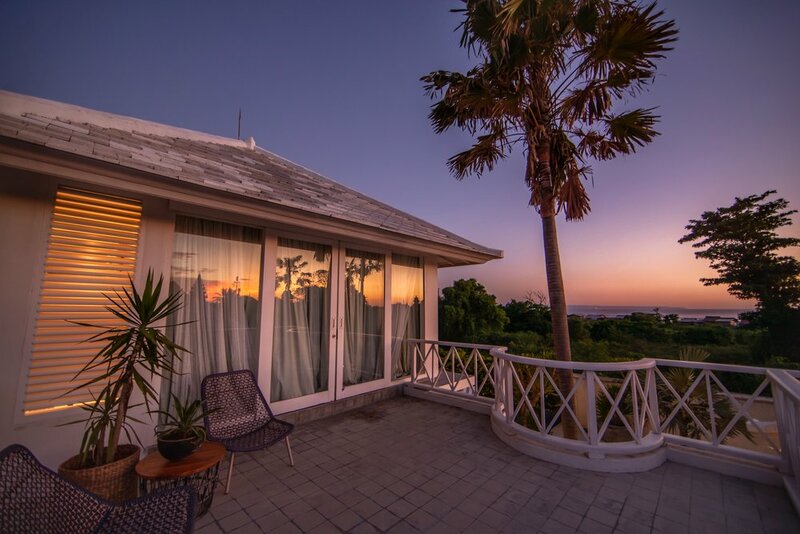 Upstairs in the main building, the master bedroom suite overlooks the Indian ocean, and provides its own private terrace also with ocean views. A separate bungalow at the other end of the large yard is perfect for a couple or small family who values privacy but wants to stay close to their group. The bathroom and living space/kitchenette is on the ground floor, while the upstairs bedroom provides the most stunning ocean views from the rolling floor to ceiling door. Immerse yourself in the heart of Canggu, Bali’s liveliest beachside village.